“My name is William Adeyeye and I am no ordinary athlete. I am the one”. These are the words of wisdom that 15-year-old William claims contributed to his list of successes last year, which included three national titles indoors and outdoors. The Thurrock Harrier claims that these words help motivate him by reminding him of his aims and successes. William’s self-talk appears to be working too, as last year he won the English Schools shot title, picked up England Athletics under-15 indoor long jump and shot titles and claimed bronze in the English Schools pentathlon. Indeed, it is his coach that William credits for the fact he got into multi-events in the first place. 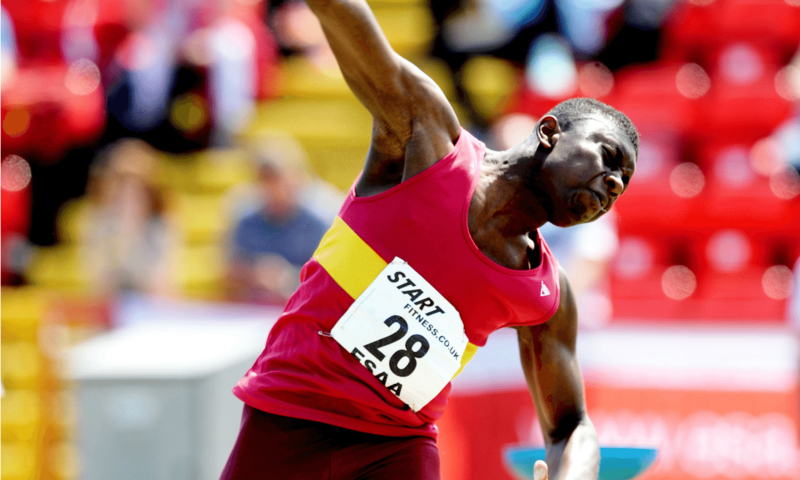 Introduced to athletics by his PE teacher, who thought he showed potential, William started out wanting to be a sprinter, as he had enjoyed watching Usain Bolt and Yohan Blake. This year William wants to make the transition to under-17 level and showed he is well on the way, having taken Southern indoor long jump gold and 60m hurdles bronze earlier this year. Beyond that, his aims include World Juniors and European Juniors and eventually major international championships as a senior athlete. He hopes he will continue to grow too, as so far he thinks his 5ft 11in 13st 2lb frame has proved to be an asset. “It is purely down to muscle. My aim is to be 6ft 2in and 13st 4lb (85 kg), since my grandma was 6ft 4in,” he says. Wanting to be an accountant or sports presenter when he finishes studying, the William Edwards School pupil also places emphasis on mental preparation before his big competitions. He says: “Usually before competitions, I like to listen to soul, jazz and fast-pace RnB music, especially Kendrick Lamar, who is my favourite rapper. You can find further performance stats on William on Power of 10 here.